​VOE-Network members brainstorm in Baltimore! 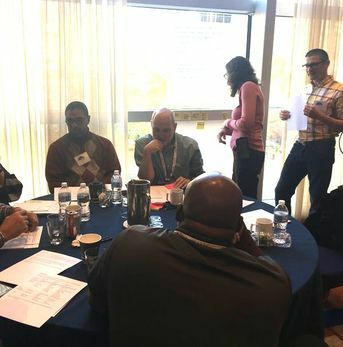 ​Members of the VOE-Network from all across the globe convened at the AALAS National meeting in Baltimore to learn from each other and bring lean knowledge back to their organizations. The sold-out VOE-N Pre-AALAS workshop featured collaborative problem-solving exercises with real-life scenarios that are experienced by every organization. By working in teams, attendees were able to see and hear best practices and different points of view that added to rich discussion and new ideas to try back home. ​The VOE-Network emerges as a 501-C6! 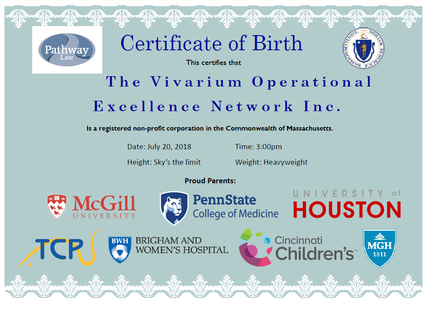 On July 20, 2018, the Vivarium Operational Excellence Network was officially proclaimed and recognized as a Non-Profit Organization. Under the guidance of our new Board of Directors, the VOE-Network Inc. has hit the world stage as a rapidly growing epicenter for the study, education and sharing of continuous improvement techniques. Our collaborations aim to advance biomedical research leading to the medical discoveries that will benefit animal and human health worldwide.